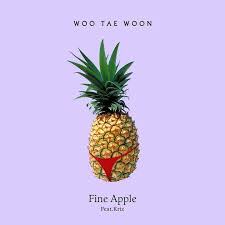 WOO TAE WOON FINE APPLE!!! Okay so I know ya'll are probably tired of me Talking about Tae Woon ... I JUST LOVE HIM SO MUCH I CAN'T HELP IT !!!!!!... and this song just has a fun grove to it.